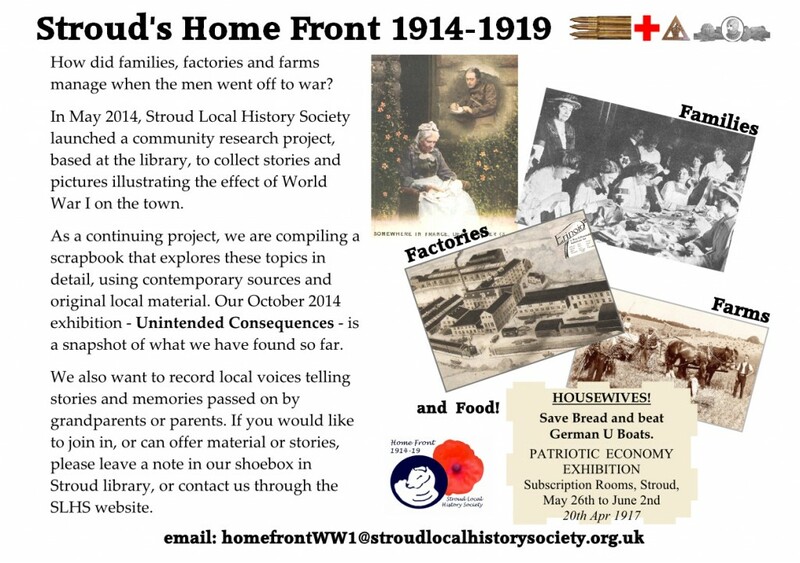 This is an on-going community research project, co-ordinated by members of SLHS and based at Stroud Library’s Local Studies Room. Drop-in sessions are held on the 3rd Monday of every month from 1:30 to 3:30pm. If you would like to help, or have any contributions to make, do please drop in to one of our Monday sessions, or send us an email.